A friend wanted a "surf guitar", so, lipstick pickups! This one started out as a brand new 2018 MIM Player Series Strat. Duncan lipsticks. They use alnico 6 magnets, as original, but are Strat route sized, so no routing required. Convenient. Nep-Tone uses alnico 6 too, but they only build full length pickups. Maybe on next one? I swapped the black pickguard and electronics for a tortoise pickguard, vintage wiring (tone on output lug), a .047uf Mullard fish cap, and a tone jumper for the bridge pickup. Sounds incredible. Look for SRV playing "tin Pan Alley" and THAT'S the exact tone. I want one for myself now. 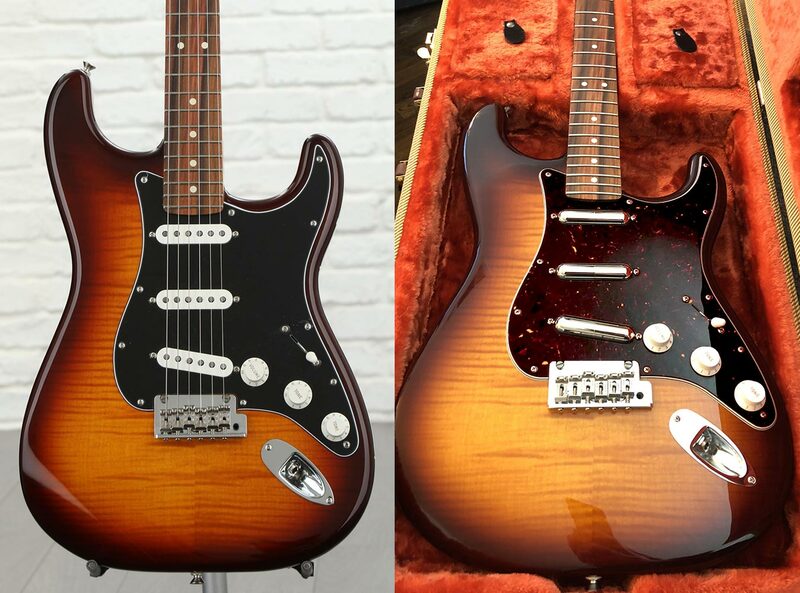 When I dropped it off, we A/B'ed it against a Clapton USA Strat. Yep, that's how people get annoyed!